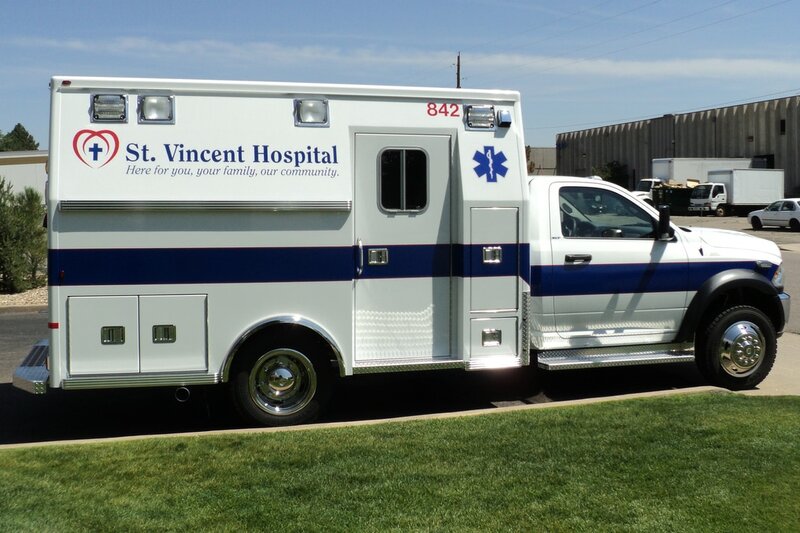 ​Johnson's EVS is a proud dealer of Life Line Emergency Vehicles. Life Line prides itself on producing quality ambulances using the "Life Line Difference." Innovation, Quality, Safety, and Satisfaction goes into everything Life Line does. The Victoryliner, a pre-configured 167" Module Superliner featuring a Ford E450 or GM G4500 chassis, with a small selection of Life Line's most popular options. The 147" body length Paraliner features a Ford E350 chassis with 138" wheelbase or GM G3500 chassis with 139" wheelbase. Includes 68" or 70" headroom, 59 CFT of interior cabinet storage and 57 CFT of exterior compartment storage. 171" Body Length Highliner available with Freightliner M2, Kenworth T270, International Durastar or International TerraStar. The 167" body length Superliner, with an optional 171" body length, features a Ford E450 chassis with 158" wheelbase or GM G4500 chassis with 159" wheelbase. Mercedes-Benz 2500 Cargo Van Chassis with 2000lbs payload capacity. Powder Coated Aluminum and PVC Cabinets and Interior Construction. With both exterior & interior LED lighting.